I am delighted to announce that this month I am beginning a new chapter in my career, as the incoming Executive Director of the ArtScience Museum in Singapore. After four amazing and rewarding years at Lighthouse in Brighton in the UK, and more than a decade in Europe, I will be relocating to Singapore to explore how we articulate the resonances and dissonances between art and science, within the context of the museum. The ArtScience Museum opened in February 2011, and has since established itself as a major venue for exhibitions by iconic artists such as Andy Warhol, Salvador Dalí, Vincent Van Gogh and Charles and Ray Eames, as well as thematic exhibitions exploring aspects of scientific history. I am looking forward to working with the brilliant team at the museum, and their advisory board, on taking the museum into the future. 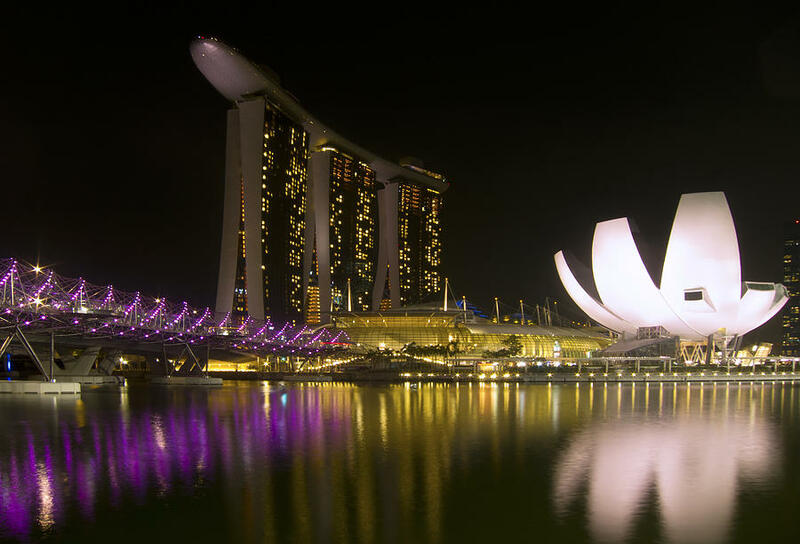 I am also extremely excited about building new networks and collaborations with colleagues in Singapore and in Asia, so if you’re based in the region, please drop me a line. I’m @honorharger on Twitter. It has been an extraordinary four years at Lighthouse, and I am tremendously proud of my team and what they have achieved in the time we’ve worked together. I am thrilled we were able to stage exhibitions by groundbreaking artists such as Trevor Paglen and David Blandy; commission new work from the likes of Semiconductor, Hide&Seek, The Otolith Group and co-found Brighton Digital Festival, which is helping make Brighton one of the fastest growing and most successful digital hubs in the country. It am plead to see the 17 short films we commissioned with the British Film Institute through the BFI Shorts programme starting to find their way into the world, with SLR, the first of the films to be released online, reaching an audience of over 200,000 since it’s launch month. Immaterials by Timo Arnall, Einar Sneve Martinussen, Jørn Knutsen, Jack Schulze and Matt Jones. 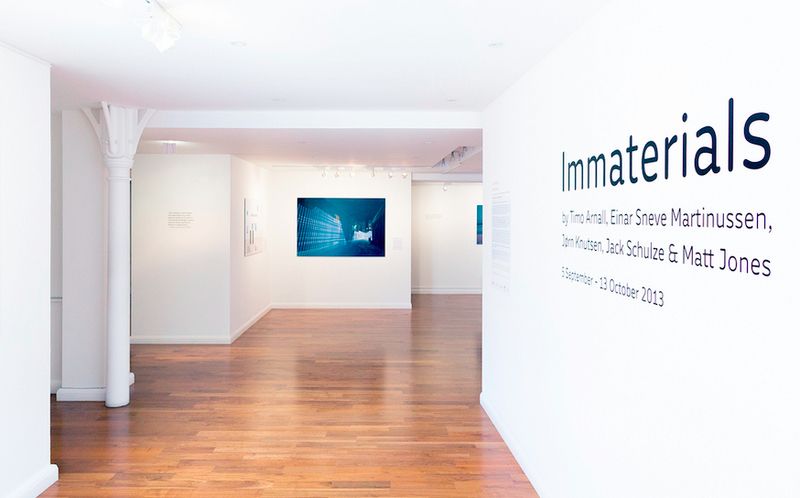 Exhibited at Lighthouse, September-October 2013. I am particularly pleased we have been able to create space for creative practitioners who occupy a space between art, technology, architecture, and design, such as James Bridle, Timo Arnall, Liam Young, Tobias Revell, Anab Jain and Tom Armitage, to show their work in a receptive and critically engaged context. I believe there has never been a more important time to illustrate how technology is changing society, and these are the practitioners who are making the most cogent, insightful and urgent work which gives us glimpses how this process is evolving. I very much hope to be able to engage with these areas of practice in my new role in Singapore. The ArtScience Museum, Marina Bay Sands, Singapore. Looking ahead, it is an extremely exciting time to working in an institution which operates at the intersection between art and science. I have a deep, sincere passion for art and science, and for those of us for those of us who follow both fields, the lines between them tend to become blurry. More than ever, now science is at the heart of everyday life and there’s an urgent need to engage society more widely and deeply with what that means. Increasingly to me, it has become clear that science is culture. I look forward to articulating that through our work at the ArtScience Museum in Singapore. I’m around in the UK for another week or so, so if you’d like to say hi, drop me a line. And from the end of the month, I’ll be in Singapore, so if that’s where you are, please do get in touch. congratulations Honor! Good luck with your new adventure! Great news. I remember visiting Singapore to talk about Sci-Art about 10 years ago for the British Council…fascinating place, they need to value their art as much as their science was the message that locals gave me then. Glad it seems to have got the message. Where in Singapore can I find this place?